Maia Tamarin dreams of becoming the greatest tailor in the land, but as a girl, the best she can hope for is to marry well. When a royal messenger summons her ailing father, once a tailor of renown, to court, Maia poses as a boy and takes his place. She knows her life is forfeit if her secret is discovered, but she’ll take that risk to achieve her dream and save her family from ruin. There’s just one catch: Maia is one of twelve tailors vying for the job. Backstabbing and lies run rampant as the tailors compete in challenges to prove their artistry and skill. Maia’s task is further complicated when she draws the attention of the court magician, Edan, whose piercing eyes seem to see straight through her disguise. And nothing could have prepared her for the final challenge: to sew three magic gowns for the emperor’s reluctant bride-to-be, from the laughter of the sun, the tears of the moon, and the blood of stars. 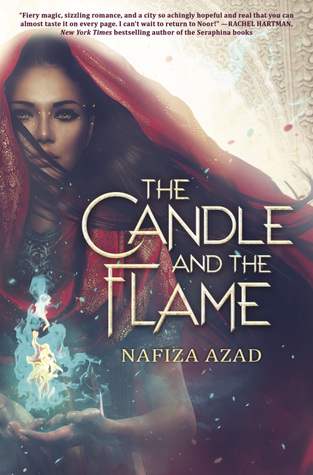 With this impossible task before her, she embarks on a journey to the far reaches of the kingdom, seeking the sun, the moon, and the stars, and finding more than she ever could have imagined. Do you like determined female characters who want to show the world their worth? What about tailoring competitions involving magic and backstabbing? What about fantasy worldbuilding inspired by Chinese culture? What about healthy and supportive romance where both characters help each other grow into better people? 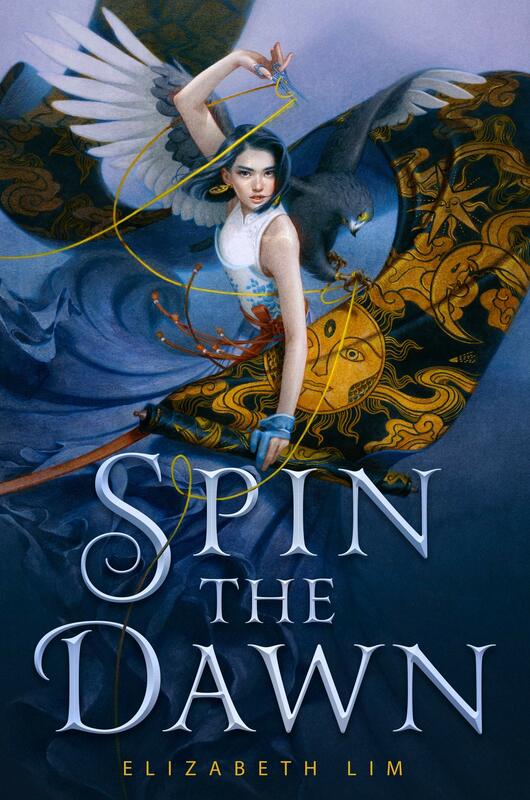 If you answered yes to the above questions, then you just might love Spin the Dawn. Maia Tamarin knows that she is an incredible tailor, but as a girl, the best she can hope for is a good marriage. When the opportunity comes, though, she disguises herself as a boy and competes against other skilled tailors to work in the emperor’s court. In order to survive in a complex game of politics and magic, she must team up with a magician and stretch her skills further than ever before. 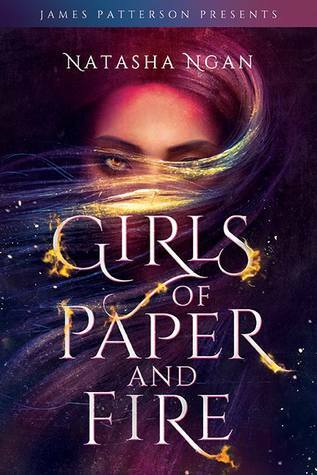 This book is described as Project Runway meets Mulan, and while that’s true to an extent, don’t go in expecting that to be the only storyline. There’s a lot more going on – court intrigue, epic journeys, magic and shapeshifting, demons, ancient legends, and lots and lots of sewing. Maia, our main character, is a girl who wants to prove herself even though the world she lives in doesn’t provide her opportunities. I liked her character – she isn’t a warrior and she doesn’t fight off enemies singlehandedly, but she knows her own strengths and makes her own place in the world. The story ended up being more romance-focused than I expected, but I actually didn’t mind that at all! I liked both of the characters involved, and seeing their relationship grow softly, little by little, was very sweet. The romance doesn’t distract from the main story; it becomes a part of it naturally and helps to show both of the characters’ development. The worldbuilding is based on Chinese culture and gives off a sense of deeply-rooted history and complexity that we don’t even touch on completely in this book. 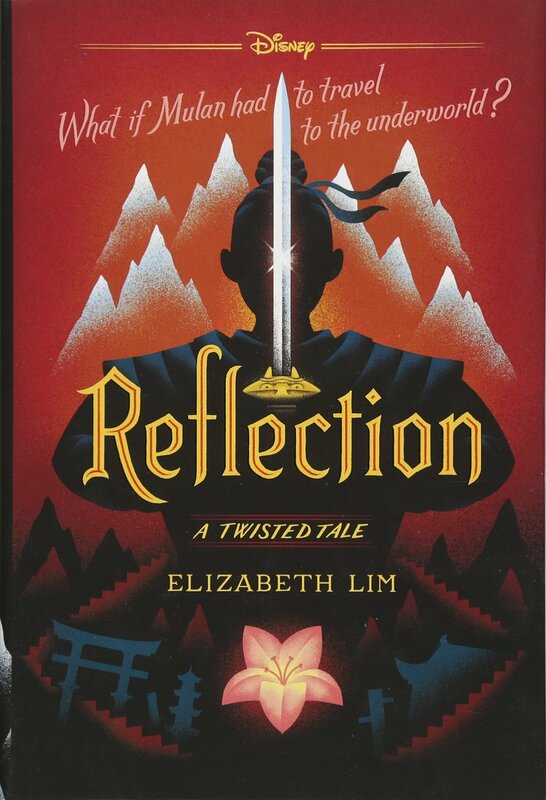 It’s clear that Elizabeth Lim has mapped this world out fully and will dive even deeper into it in the rest of the series. My biggest complaint: sometimes conflicts are resolved too quickly, without giving them adequate buildup or significance. A problem is introduced, and then within a chapter or two it might be solved. Of course, there were overarching conflicts that lasted the whole book, but some of the smaller ones lose their weight because they end so quickly, taking away some of the story’s tension. Even so, I was lost in this world while I was reading it. The writing pulls the reader fully into a scene; I felt like I was beside Maia through her whole adventure. It was one of those worlds that I was happy to visit for a while. This might not be the fastest paced fantasy book, but with its strong characters and beautiful writing, I definitely recommend it. 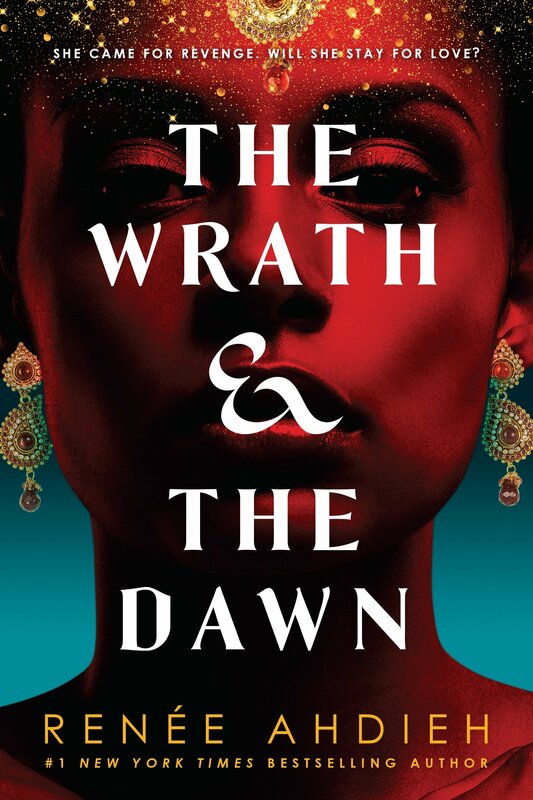 If you’re interested in a romance-centric adventure with plenty of sewing (seriously, it almost made me want to pick up a needle and thread), you should go read this when it comes out in July! Great review! This book sounds really interesting; I can’t wait to check it out. This sounds fabulous! I’m really looking forward to this one! It is fabulous! 😄 I hope you enjoy it too! Project Runway meets Mulan is certainly eye-catching! 😀 And yes, the quick resolutions could be somewhat frustrating, but otherwise I’d say it’s entirely worth it! I hope you enjoy! I really like the sound of the world building and Mulan meets project runway sounds fun- though I’ll bear in mind that this has more to it than that! Great review! Sometimes people mention strong heroines and they talk about physical strength and warrior girls and the like, when in reality any girl who shows emotional, mental, and/or physical strength is a strong heroine. Brilliant review, Margaret, and I’m really glad you enjoyed this book 🙂 I want to read it for my YARC challenge soon! Yes exactly! 😀 I love reading books with heroines with different types of strength. I hope you enjoy this one too!! I hope you like it as much as I did!! Nice review! I got an e-ARC through NetGalley, so I’m looking forward to reading this! I enjoy a book with a sweet romance.